The Hotel Aurora is located in the center of Milan, on the main European trading course, between the Cathedral and the Central Station. 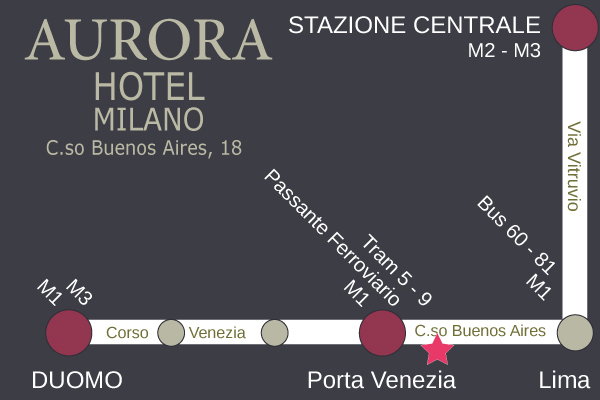 It is located a few meters from the underground station of Porta Venezia, the Suburban Railway (blue line) and from the bus and tram linking the hotel directly with the places of interest, such as the Duomo, the Castello Sforzesco and the most important places for fun as the canals and the area of Corso Como. 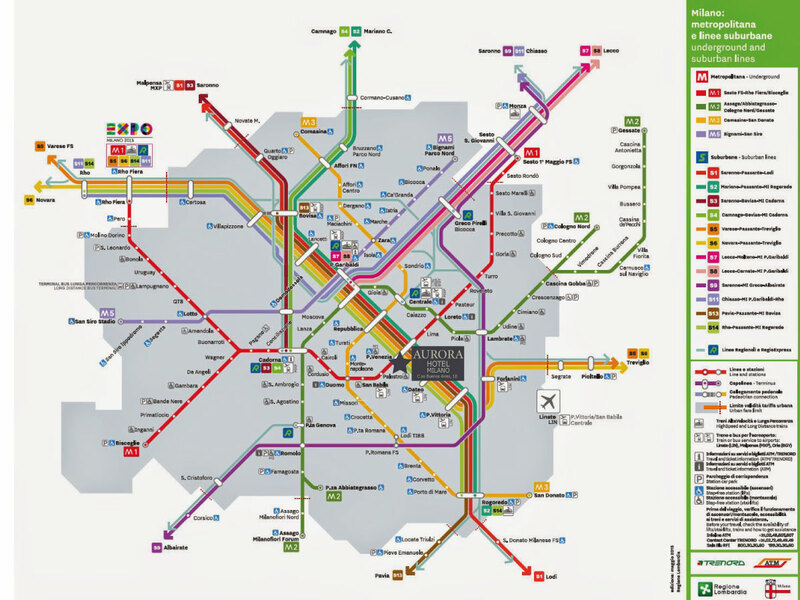 Both exhibition centers, Milan City and Rho-Pero can be easily reached by subway red line and Suburban Railway. The taxi station is located front of the hotel. Write us an email for information, quotation and details. We will reply promptly to your inquiry. Our reception will answer your questions 24/7. Do you need an immediate confirmation? do not hesitate to call us! You can go directly to the hotel and if our availability responds to your requests we can welcome even without reservation.